Home Business For Surface Phone to Live, Must Windows 10 Mobile Die? For Surface Phone to Live, Must Windows 10 Mobile Die? In a recent article about Surface Phone, we covered the many reasons why the time is right for such a device to make its entry into the smartphone world. While Surface Phone as a device remains a mystery that only time can solve, the impact of a device like Surface Phone needs some digging into. The Windows Phone and Windows 10 Mobile ecosystems have never been very robust. Yes, they did see their glory days when Windows Phone 7 and then, subsequently, Windows Phone 8.0 was launched, and there was quite an impressive list of devices to pick from. 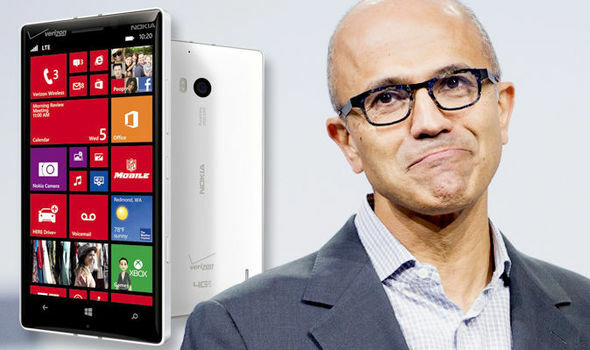 When Microsoft bought Nokia in 2013, everyone and their uncle thought they were going to corner the smartphone market, elbowing Apple’s iOS and Google’s Android out of the way with the world’s most popular mobile phone brand and a spiffy mobile operating system that was Windows-based. After all, Windows did corner the PC market, so why wouldn’t a mobile version be able to do the same in the mobile world? That was a gross miscalculation that cost Microsoft a whole lot more than the $7.6 billion or so that they finally had to write off on their books. It cost them a dominant position in the smartphone world – one that would eventually become much, much bigger than the PC world that Microsoft had dominated for so many years, and continues to. But Surface Phone is a different approach; as different as Windows Phone is from Windows 10 Mobile. In fact, eons different from what Microsoft has ever attempted before this in the smartphone space. And that is exactly the reason why Windows 10 Mobile ecosystem must be sacrificed the way Nokia was. In Nokia’s case, it was jobs that were lost – about 7,800, in fact; in the case of Windows 10 Mobile, it’s devices. Thousands of devices that are currently on Windows 10 Mobile will be no more in a matter of a few years, perhaps sooner that we realize. That process is a necessary one because it takes Microsoft away from the whole purpose of a device like Surface Phone. The device itself is not as significant is what it represents: the ability to do away with device-based operating systems. Essentially, the doing away with the iOSes and Androids of this world. For a technological shift of such proportions, no price is too high to pay. Of course, Microsoft isn’t going to be as ruthless as that. After all, the entire Windows Phone and Windows 10 Mobile user base is a potential market for a device like Surface Phone. What will probably happen is that support for Windows Phone and Windows 10 Mobile will eventually cease, and only die-hard users will remain, eschewing the fact that no software, security, technical or any sort of support will be forthcoming. Meanwhile, Microsoft will likely push Surface Phone in a big way to enterprise clients because that’s the sort of toy they love to play with. In fact, it is Microsoft’s suite of productivity apps that turns any phone into a worthwhile business device. Ask most iPhone users in the business segment what their most valuable work apps are, and it will come tumbling out: Skype, Outlook, Word, Excel, PowerPoint, and so on. And that clues us in on why Surface Phone will succeed as a device. It’s not a toy; it’s a business tool. It’s not a phone; it’s a PC. And why is that relevant? Because every enterprise-targeting productivity, communication and collaboration app that Microsoft has ever created will be on it by default. Furthermore, in that segment, price is much less of a pain point than capability. And Surface Phone will be sure to check all the boxes in that area. Assuming Microsoft is able to crack the problem of x86 emulation on ARM64 architecture and start the first wave of desktop applications on mobile, its success is practically guaranteed. The business world will lap it up like they lapped up Windows PCs for their workspaces. Microsoft has already proved that it can make superior devices in the form of the Surface family, so there’s no reason for consumers to question whether or not Surface Phone will be a solid device – from a design, specs or functionality perspective. So the only missing element in all this is the ability to emulate the desktop experience like nobody else can – not Samsung with its DeX; not Google with its Play Store on Chromebooks; and certainly not Apple with things like Handoff, as I argued in my earlier article. That’s what I believe Microsoft is working on at the moment in partnership with Qualcomm. However, that’s not the final destination. The blurring of desktop and mobile operating systems will continue, with efforts from both Microsoft and Google. Incidentally, both of them are working on separate projects, both called Andromeda, and both with very similar objectives. The only difference is, Microsoft is attacking the problem from its strength in desktop operating systems, while Google is tackling the issue from its strong position in mobile OS. I also believe that both of them are much closer to their respective objectives than anyone outside these two companies suspects. The time has come to destroy the barrier that segregates one device from another, personified by Apple’s many operating systems – iOS for mobile, macOS for desktops, tvOS, watchOS. The time has come for the disrupters to be disrupted in the great circle of digital life. A new disruption is at hand to destroy the status quo – the Great Device Divide – and it’s time for that WALL to FALL. I hope you enjoyed reading this article and it offered some value for your time. I would ask that you engage with the ads on this page and on our site, and please add us to your ad-blocker’s whitelist, because that’s what keeps the lights on in our tiny little office. If possible, like our Facebook Page and follow us on Twitter. It would mean a lot to us. Thank you.